Flying car is deemed to be personal vehicle that can provide aerial transport in a urban set up without the need for special landing special as is needed for modern aircraft. Though a door-to door flying vehicle has been a work of science fiction or a dream since the past decades, many mobile giants have been working diligently and with all earnestness behind the scenes to make this seemingly impossible human dream to become true. Realisation of this dream has brought plethora of failures and successes. Although still not available commercially, flying cars models serving different purposes have been developed by various mobile companies. This article provides a glance on the various flying car machines model and concept. 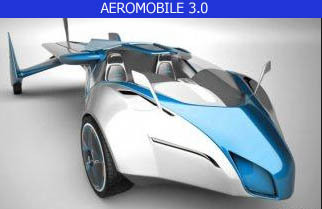 A Slovakian company intends to make a AeroMobile 3.0 to be available commercially to rich buyers who are enthusiastic for flights. 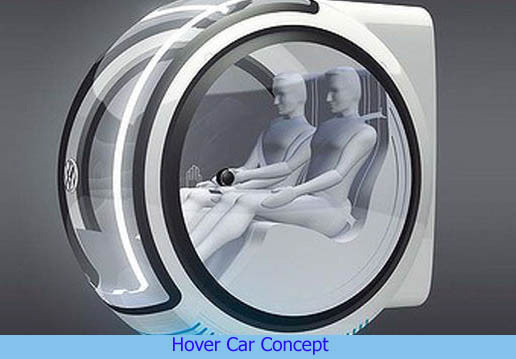 The company CEO Juraj Vakulic indicated that the machine would be commercially available by 2017. The vehicle can accommodate 2 passengers. The length is nearly 19 ft and wingspan nearly three times the length.The ‘powerplant’ that helps in the take-off includes a 1× Rotax 912 four cylinder horizontally-opposed liquid and air-cooled piston aircraft engine with a power of 75 kW (100 hp). The maximum speed that it can acquire is 200 km/h and the stall speed is 60km/h. Range of the car is 700 km and flight fuel consumption of about 15 l.
AeroMobile plans to make the flying car available commercially by 2017. Terrafugia is light sport road- compatible aircraft with a flight range of 425 nmi. It is powered by a piston engine 912ULS, with body made of carbon fibre. The vehicle will be driven on automative premium grade gasoline or 100LL avgas. It can accommodate 1 pilot and has a length of 6.02m with a wingspan of 8.08 m. The height of the car is 1.98 m. The Empty weight of the car is 440 kg. The ‘powerplant is 1× Rotax 912ULS, 100 hp @ 5800 rpm (max. 5 minutes), 95 hp @ 5500 rpm. The propellers include Prototype Sensenich 3 Blade Rotax Ground Adjustable Propeller. The maximum speed that can be taken by the car is 185 km/h and the cruise speed is 172 km/h. The stall speed is 62 km/h and range is 787 km. maximum speed on road is 110 km/h. The certifications planned include FAA and FMVSS certifications. The price of Terrafugia Transition was increased to US$ 27900 in December 2011 from US $ 19400. Zee.Aero, a small company probably related with Google located in Googleplex in California is working on to flying car concept to build up a VTOL machine. A patent filed by the company states that the VTOL car is capable of getting parked in a shopping mall.The Company is headed by Ilan Kroo, an aeronautics professor NASA scientist. The Zee.Aero has been designed in an arrangement that is called as ‘Canard wing’. Such a design has got the payload area surrounded by front and rear set of wings. This system is enabled with multiple vertical lift rotors and forward thrust propellers. The horizontal stabiliser is fitted in the front rather than in the center. Above the wings are battery powered electrical engines which are the running the propellers. There is evidence of use of Carbon-fibre as a primary building material by the company. It is speculated that the company is developing a unique fabrication technology to develop an effective design of the product. The Volkswagen has been working on its concept of flying hover which looks like a doughnut and can adjust two passengers on a self-driven pre-determined path. During the 1990s the company tried to design a product with a design, technical qualities conforming to Chinese customers. Even though the concept of a flying hover requires the use of electromagnetic plates on roads, the company was highly driven to research for its project called People’s Car (actually the meaning of ‘Volkswagen’ in German). Along with this two other car concepts were also included in the project – The Music Car and the Smart key. The company intended to design a car that could change it colour with the change in music being played by the driver of the car. The ‘smart key’ as the name suggests employs the use of smartphone to control car functions. A flying car concept to help military and rescue needs. The X-hawk has been designed by Rafi Yoeli of Israel. The design has been patented as ‘Fancraft’. The design consists of Vertical take-off and landing (VTOL) enabled vehicle that has no exposed rotors, tandem fan with a turbine-powered vehicle.The vehicle can be manoeuvred like the helicopter. And can acquire the maximum speed of 249 km/h and reach an altitude of 3700 m and it has an endurance limit of 2 hrs of flight time. The vehicle has for different purposes X Hawk LE for enforcement of law which can accommodate one pilot and three officers while X Hawk EMS for emergency medical services. 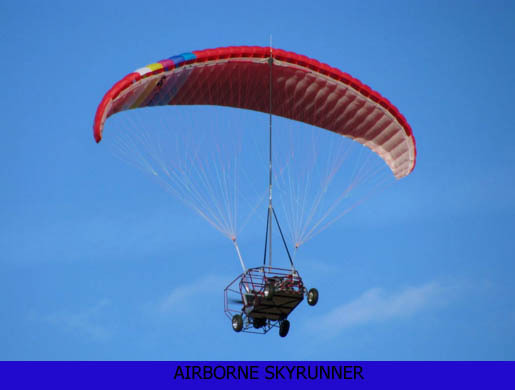 The Skyrunner is model that is now on available for a price of $19000. It has been developed by Britain’s Parajet International.This model of the flying car is actually powered by parachute. It gets converted to flight mode from the land mode in about 3 minutes. It carries a 1 litre boost engine and weighs about 420 kg. The Skyrunner has a range of 500 miles on the road and 200 nautical miles in the air. The maximum altitude reached is 10,000 feet above sea level. It has a considerably good scoot rate, reaching 60mph in 4.3 s. It is being claimed to be much safer than other traditional aircraft due to powered parachute system. In airborne state, there are only two flight controls which are termed ‘ intuitive flight controls’ . One is the left and right steering via handheld toggle and a throttle pedal to descend or ascend. A license to fly Skyrunner requires only 12 hours of lessons and can be applied for by anyone above 17 years. 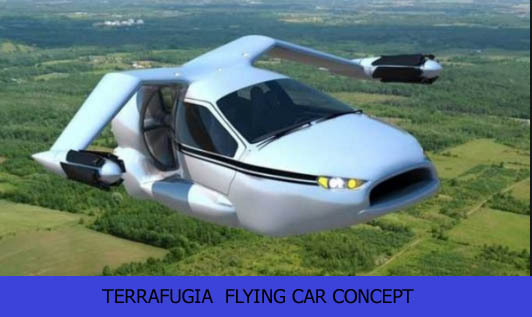 So friends share your ideas about Flying Car in comments.